Growing up as an Asian kid in suburban Maryland, all Antonio Cuna would do was skate around and play in rock bands. With an all-black wardrobe that consists of band tees and Vans, unchanged from his high school years, Cuna has always kept a little “emo” in his heart — but that doesn’t mean he’s always making “emo” music. The Filipino American electronic dance music producer and DJ may have picked up instruments first, but it is the remixes and beats he makes under the moniker Sweater Beats that has caught the attention of the EDM world. Last year, he signed to Big Beat Records, which counts on its roster David Guetta, Galantis, Skrillex and Clean Bandit. But Cuna was just a humble kid who came from the Philippines with his family when he was 8 years old. Growing up, music was always around. Everyone loved karaoke; his father played bossa nova on the guitar; and thanks to his sister’s songbook, the first song Cuna ever learned on the guitar was by NSYNC. Cuna left his small hometown of Rockville, Maryland, for college in New York City. Friends introduced him to electronic music and he fell in love with the beats that played in local discotheques and the sounds he’d “sweat,” or copy, from other artists. “I used to go by ‘I Sweat Everybody’ because, when I was learning how to make beats, I’d think I want to ‘sweat’ that guy, an East Coast term meaning to ‘jack someone’s style,’” Cuna explained. 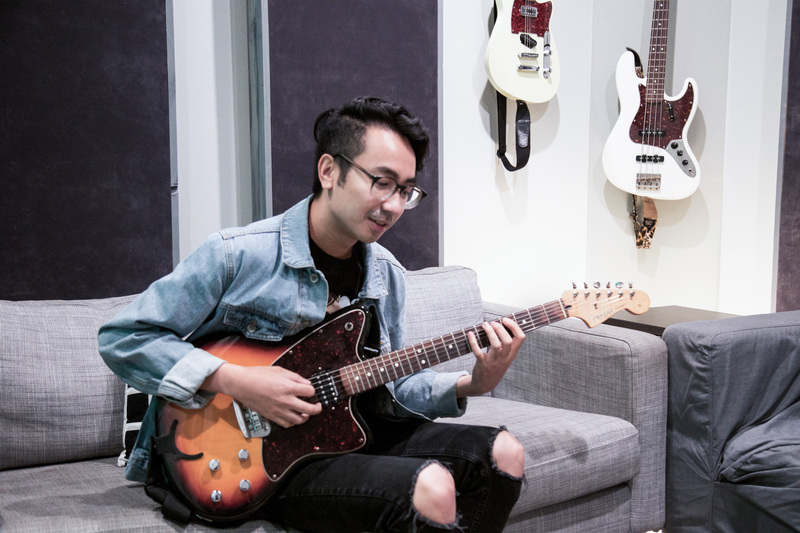 Cuna joined fellow Asian American electronic music producer Charlie Yin, better known as Giraffage, on a 26-city nationwide tour in fall 2017. They’re on a mission to highlight more Asian Americans in music. “It’s important to have people in music and media that look like you,” Yin said. “Growing up, my favorite band was Thrice, probably because one of their guitarists is Asian. If I didn’t have that band to look up to, I might not have had the confidence to pursue music myself. Sounds like Cuna is paving the way for us all to live our glory days. This article appears in Kore Asian Media’s 2018 Annual Issue. Order a free copy now at koreasianmedia.com/subscribe!